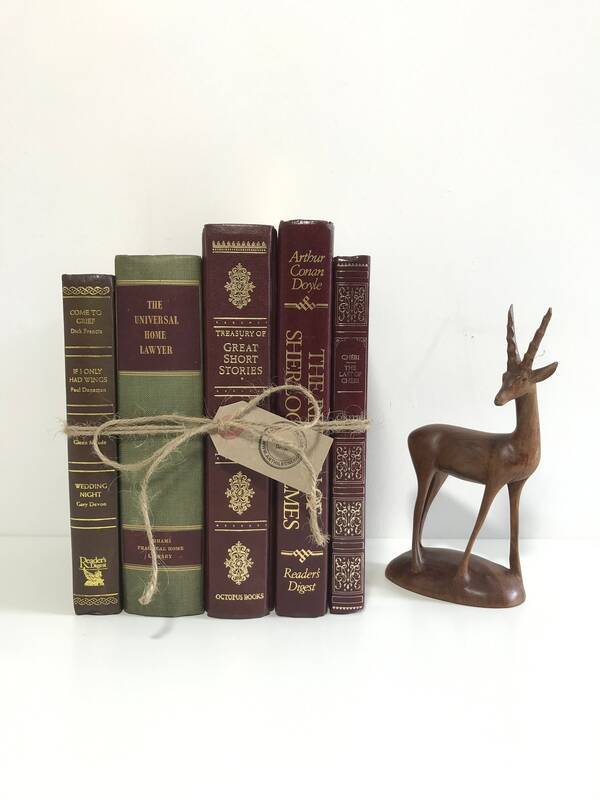 Calling all budding interior designers! 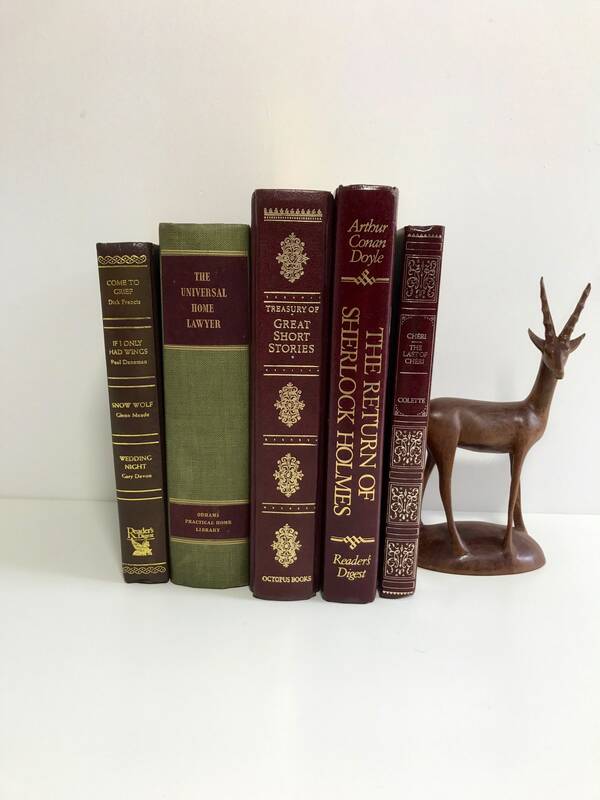 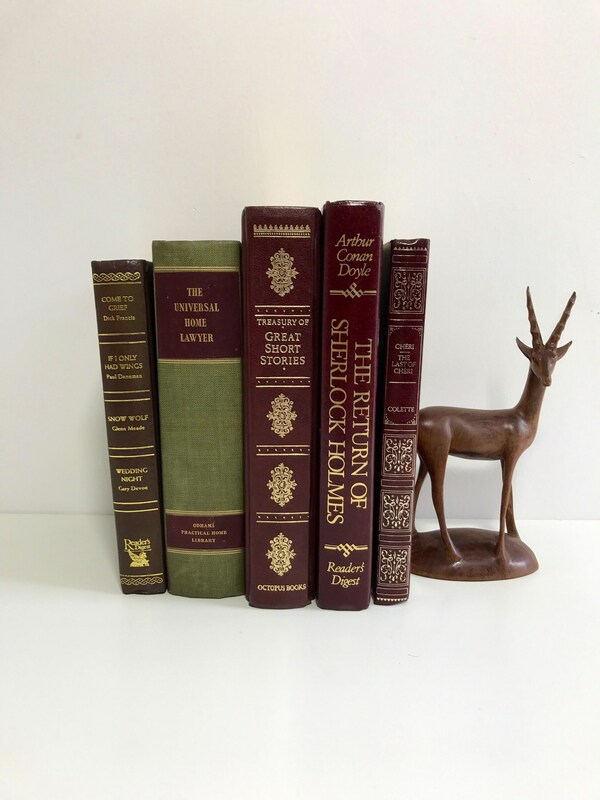 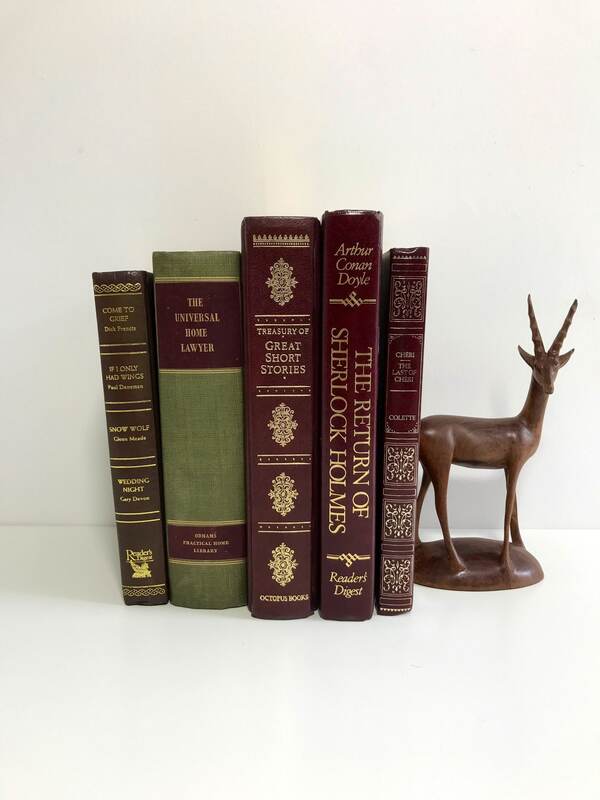 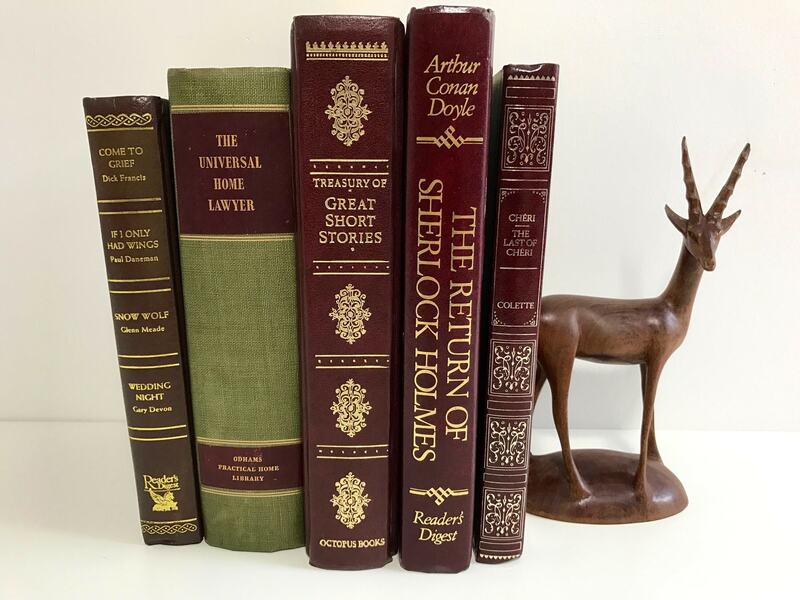 Create your own instant library with a collection of old books with Deep RED, Green & GOLD spines for use as home decor or shelf staging, photo props or window displays. 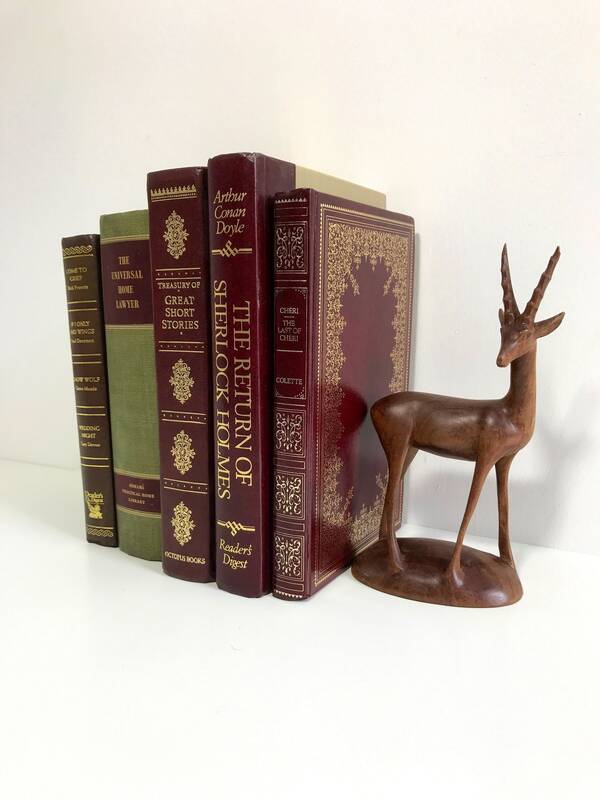 No need to spend time hunting around for the right colour shades. 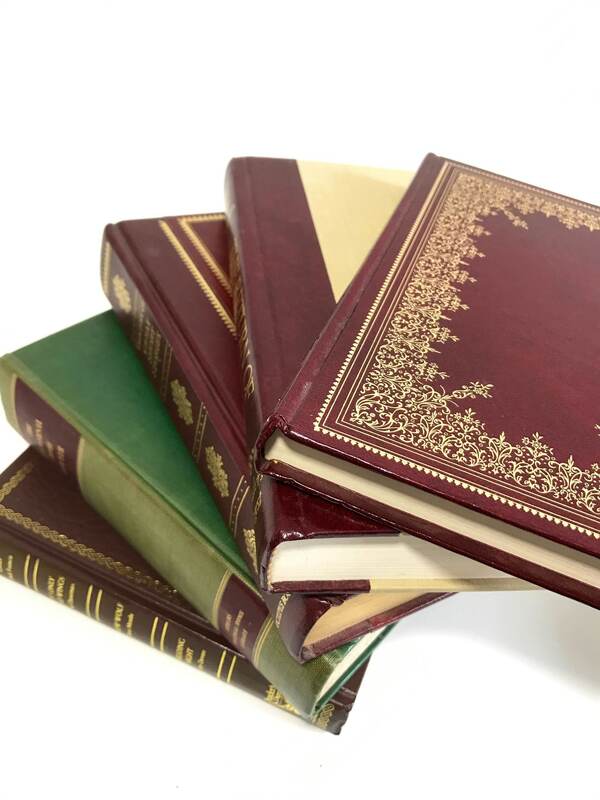 I have done it for you.